For many adults, that morning cup of coffee is a necessity. However, you may be surprised to learn that approximately 75 percent of children, adolescents and young adults in the United States also consume caffeine. Because caffeine is common in coffee, tea and soda, kids and teens may unintentionally consume large amounts of caffeine on a regular basis. Here, we will address what to keep in mind when setting limits on caffeine. 1) Caffeine affects kids differently. Caffeine in large doses can cause irritability, anxiety, rapid heart rate and elevated blood pressure. It also impairs the body’s ability to absorb calcium, an especially important function in growing kids and teens. Because of caffeine’s ability to help one feel focused and work more efficiently, teens with a heavy academic responsibility may turn to coffee and soda on purpose to improve concentration at school and while studying. This can backfire, especially if consumed closer to bedtime, leading to poor sleep. 3) Alternatives. 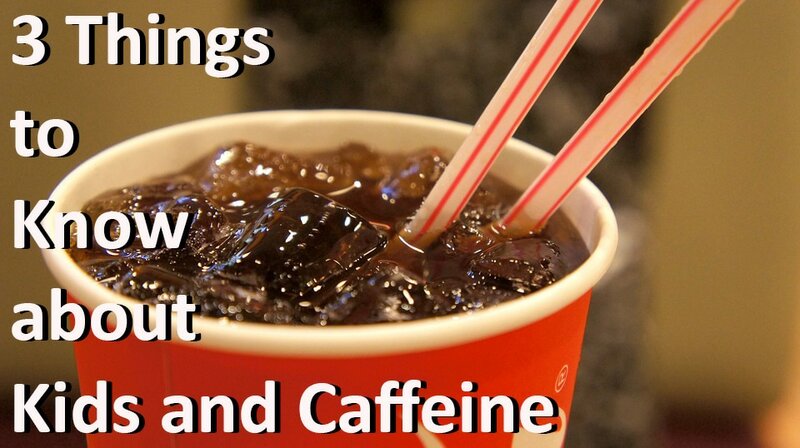 Of course, candies and drinks with added caffeine, such as energy drinks, should always be avoided. If your child is lacking energy, try an earlier bedtime or a brisk walk outside. Yoga and meditation will also help with focus and concentration, and by helping your child relax, can contribute to better sleep. Make an appointing with our Dietitian, Andrea Berez, for you and your child. Prenatal yoga can be very beneficial as a form of exercise and as a way to relax. If you already have a yoga practice and are looking for ways to practice safely, consider the following tips to incorporate into your practice. 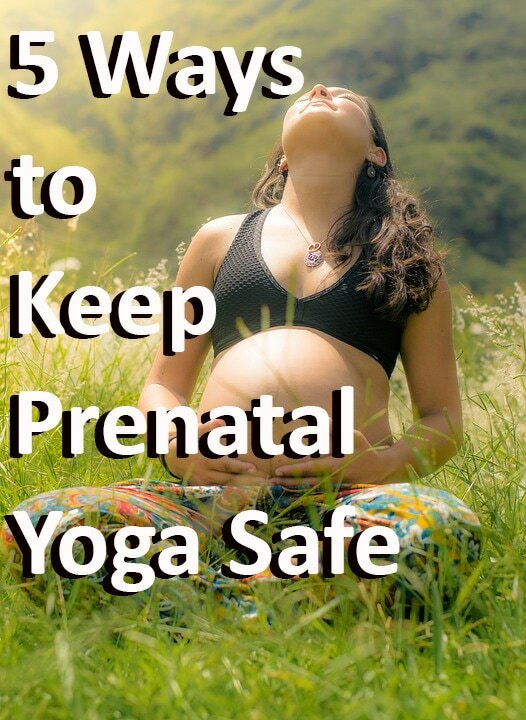 If you are brand new to yoga, keep in mind the following when searching for a prenatal class. 1) Follow your doctor’s advice. If your doctor is on board with your desire to practice yoga, seek out a prenatal class or a teacher that specializes in prenatal yoga. You can also attend gentle or restorative classes even if you are beginner, as these classes will offer a supported, mild practice. 2) Be gentle during your first trimester. If you have a history of miscarriage, avoid yoga until after. Even if you are experiencing a healthy pregnancy, you may be very tired during your first trimester and want to practice only calming, restorative poses. 3) Do not be afraid of a stronger practice. If you already have a developed yoga practice, you can keep attending your regular classes. Feel free to modify, and base your practice on how you feel. An educated yoga teacher will be able to offer you modifications. Also look over the general guidelines discussed below to help modify your regular practice. 4) Try prenatal classes or private lessons. Prenatal classes are generally geared towards poses that support you and make more room for the baby. You can still expect to do everything from active standing poses, keeping you strong throughout your pregnancy, and restorative poses that helps you to deepen your breathing and relax your body and mind. A prenatal class can offer a wonderful source of support and community. 5) Asana Guidelines. In general, avoid poses in which you lie on your abdomen, poses where you lie flat on your back without support, poses that contract your abdominal muscles and twists (except open twists). Practice poses that make room in the front of the body, poses to open your hips, and poses that activate muscles to protect joints and ligaments that become more relaxed during pregnancy. Also avoid any pose that does not feel good- good advice for any yogi, pregnant or not! Come check our Private Prenatal Yoga Classes! If you are eating healthier, you are probably aware that is a lot easier to control calories, fat and other nutrients when you cook the food that ends up on your plate. But healthy eating can still be fun, and you do not need to fear dining out if you are trying to eat healthier. Here are some basic rules to follow that will help you stick to your plan and maintain a social life. 1. Prepare. Allow for wiggle room in your diet, and if you know that you will be eating out for dinner, have a lighter lunch and breakfast. However, do not skip meals as you will probably arrive at dinner starving and forget about your healthy plan. 2. Do your research. If the restaurant has a menu online, look it up and plan what you are going to order. By researching and planning your meal, you will eliminate the pitfalls of ordering while hungry and rushed. 3. Apply general healthy eating principles. If you are trying to eat healthier, you are probably including lots of fresh produce, lean proteins and avoiding heavy sauces and sides. You can use the same principles when dining out- look for options that are vegetable heavy, but well balanced so you feel full. 4. Substitute. Most restaurants are happy to honor dietary requests, and will substitute a salad for fries or put dressing on the side. Ask questions and do not be afraid to make reasonable requests. 5. Portion control. A major pitfall of dining out is simply huge portion sizes. Restaurants often serve twice or three times the amount of food you would serve at home. A good rule of thumb is to save half of your meal as leftovers. If you know it will be hard to resist eating, you can ask your server to box up half of your meal before bringing it to the table. 6. Eat slowly. It takes your brain 20 minutes to receive the message that you are full, so eating slowly will help you to realize when you are actually satisfied. If you are starving when you arrive at the restaurant, order a healthy appetizer like a side salad or a vegetable soup so that you will not be as hungry when your main course arrives. 7. Eating out with kids. 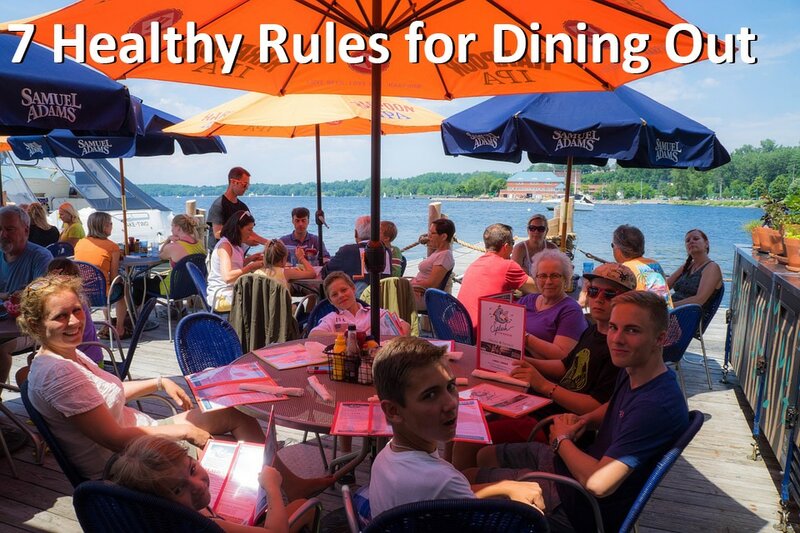 If you are eating out with young children, pick a restaurant that either has a kid’s menu or lots of healthy options. Let kids order a familiar favorite and allow them to sample your order to experience new, healthy foods. Keep these tips in mind when dining out, and also try to enjoy your special meal out. If you are eating healthy 80 percent of the time, little allowances will not affect your overall health. Being healthy is more than fitting into a pair of pants, and any sustainable diet allows a social life. Come work with our Pediatric Dietitian, Andrea Berez!! What is positive psychology, and how can it help you become happier and more emotionally fulfilled? Positive psychology can be described simply as using the scientific method to make “normal life” more fulfilling, and to understand what actions, pursuits and motivations best contribute to happiness. 1. Does wealth = well-being? Not exactly- while there is some correlation between happiness and income when basic needs are not met, a Harvard Business School study from 2009 found that people tend to overestimate the influence of wealth on happiness by as much as 100%. When it comes to purchasing power, those who spend money on experiences, such as a meal out or a trip, cultivate greater happiness than those who spend on possessions. 2. Happiness IS contagious. 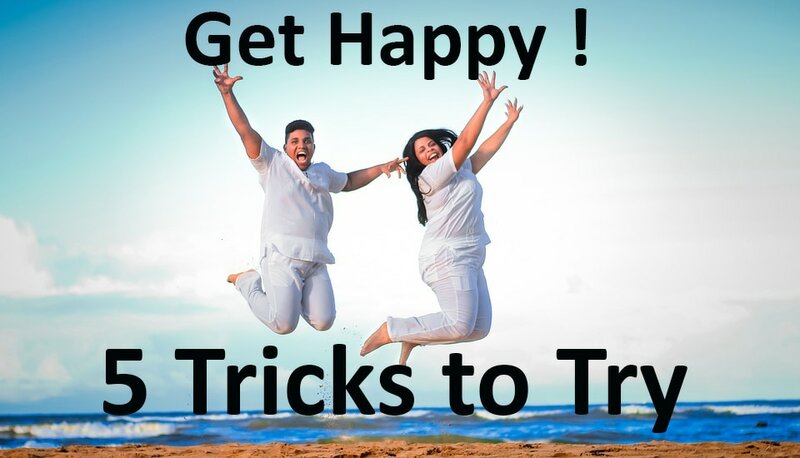 A 2008 study found that people who were surrounded by happy people were more likely to be happier in the future. Pay attention to whom you spend time with, and how you feel when you do. 3. Exercise! Improve your mood, lower stress and increase productivity with exercise. You do not have to even engage in strenuous exercise to reap the benefits. Aim for 30 minutes of an activity you enjoy 5 days a week. 4. Volunteer. Donating time to a cause you feel passionate about is proven to increase well-being and life satisfaction. Interestingly, it is even linked to decreased depression and a lower risk of dying early. If you are short on time, even helping out a friend in need has health benefits. 5. Hug someone you love. The simple act of eight hugs a day can increase internal oxytocin levels, the hormone that facilitates trust and empathy. Hug a friend, child or pet, and foster connections that result in a happier you and a better world. The science of positive psychology can lead to a better you, both mentally and physically. If you suffer from acute or chronic low back pain, yoga may provide some relief. This month, the American College of Physicians published updated guidelines on back pain. The new recommendations advise against prescribing painkillers for back pain, and suggest that before patients try an anti-inflammatory or muscle relaxants, they should try alternative treatments such as exercise, yoga or massage first. Here is how yoga as a first resort can help. ​1. Most back pain resolves without intervention. Some doctors compare back pain to the common cold. While back pain is annoying and certainly painful, most of the time it does not result in or indicate a serious problem. Scans like an M.R.I. can be misleading, showing abnormalities that may not even be related to the pain. Yoga can provide some relief while you wait for your pain to resolve without further medical intervention. 2. Not all yoga is created equal. If the idea of taking up a physical activity while in pain seems too overwhelming, consider seeking out a gentle or restorative yoga class. There are many alternatives to fast, vinyasa flow classes. These classes offer supported poses and move slowly, allowing you to relax and restore. ​3. Consider private lessons. Working one on one with a highly trained yoga teacher allows you to work at your own pace and address issues specific to you. While they cannot offer medical advice, a yoga teacher can work with you to find poses and sequences that offer you relief. Even if you only take one private lesson, you will learn poses that you can do at home to relieve pain. If you have pain and want to attend yoga classes, you can also use a private lesson to learn modifications specific to you that you can apply in your group classes. Come check out our Yoga Classes at KareBoost Health!! Schedule an appointment for Massage at KareBoost Health! !